Tatusya Maki(vo/g), Keisuke Pretty Hasegawa(ba), Jet Seiya(dr), and Shintaro Yanagisawa(g) formed this rock ‘n roll band. In January 2013, their 7 inch single “Ningen Sanka/Scross the University” was released from an indie label called “SEEZ RECORDS”, which was sold out. Their album released in July was chosen as Tower Record’s recommendation and created a buzz. In February 2014, the 2000 copies of their limited single “Orient/ Horror Show” was instant sold out, and in August their Tower Records limited single “Emma” tanked within the store’s top10. On November 5th their major label debut album “magic Number” was released from Victor/Getting Better. The lead track “Magic” was power-pushed at CS music channels and local FM stations. In April 2015, they released their major label1st single “Bilingirl” was released. For the promotion , the band went to one day Tokyo, Nagoya, Osaka free show. 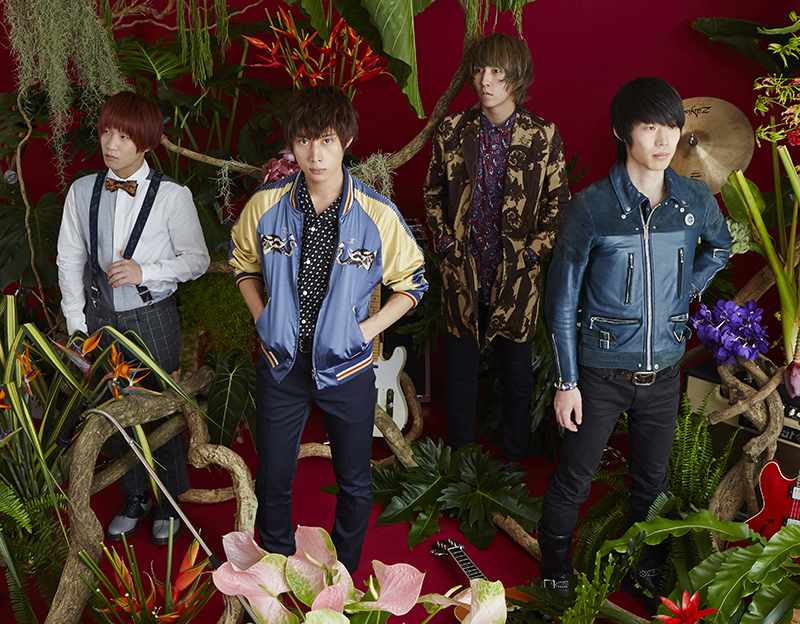 In September, Shintaro Yanagisawa joined the group and the band released their second single “Counter Action”. The solo show tour held between November and December , “COUNTER ACTION 2015” was all sold out, ending as a big success. In February 2016, their long-awaited album “Kameleon Lights” was released and the longest tour “Kameleon Lights Tour 2016” started, accelerating their career.